At JSR Massage we are immensely proud of the team of awesome Remedial Therapists we have created over the years. Our Myofascial Release Massage is a whole-body, “Seek and Treat” massage, treating the whole body, but bringing it back to the symptoms to ensure we have resolved and addressed the actual causes. Our SMART ™ therapists work with the client to assess, treat and develop strategies that facilitate an ongoing positive change in the client. Our Remedial Massage therapists are qualified and experienced practitioners. Our Therapists are Professionals registered with Australian Massage Therapy Associations. Our Therapists are registered with Private Health Insurers and can offer Health Fund Rebates. 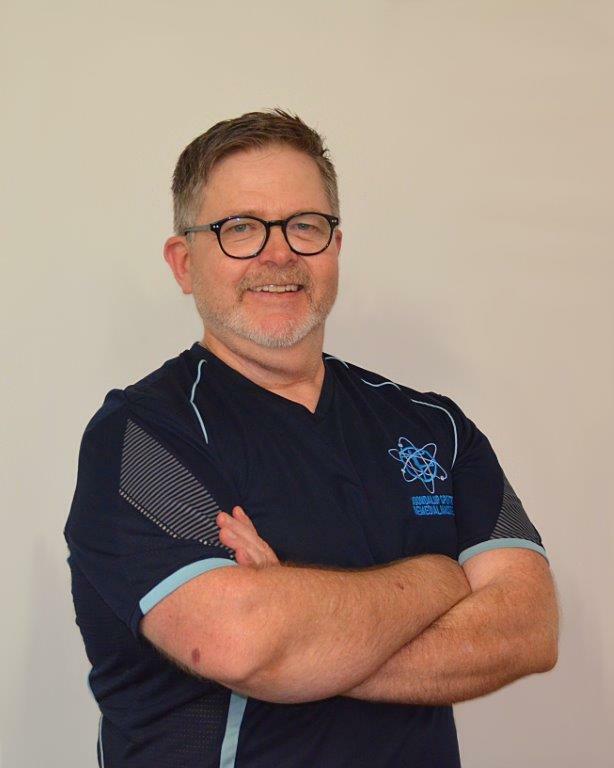 Richard graduated from the North Metropolitan TAFE (WA) with a Diploma in Remedial Massage Therapy and is a member of the Association of Massage Therapists (AMT). After many years of being desk bound in a previous career, combined with overuse injuries from recreational weight lifting and mountain biking, Richard was noticing the injuries starting to affect his quality of life. It was time to fight back, so Richard explored several treatment options and was impressed with the effectiveness of massage for treating both his long term postural problems as well as the short-term exercise related injuries. He was so impressed he decided to make it his new career. Richard is passionate about treating people suffering from pain and dysfunction from both sporting and overuse injuries, as well as people suffering from chronic, long term postural issues caused by sedentary occupations. He enjoys being able to make a real difference to the quality of life of others, which is why he has also undertaken volunteer work supporting charitable organisations. Richard is a registered Health Fund Provider with all Health Funds, and can offer health fund rebates to clients with Remedial Massage listed on their policy. He is looking forward to meeting you and helping you to achieve your wellness goals. Eoin graduated from the Australian Institute of Fitness in 2017, is a member of the Association of Massage Therapists (AMT), and was selected by the lecturers at the institute to receive the prestigious Healer Award. Eoin was delighted to be selected to receive this award as it is a huge honour. Eoin has always had a passion for sport at a competitive level and has played Gaelic Football (the Irish equivalent to AFL), Soccer, Rugby and Golf to name a few. It was from playing sport and receiving injuries such as broken bones, torn muscles, sprains and general wear & tear that his interest in rehabilitation and speedy recovery from these injuries for himself and others developed. Alongside this, as an Electrician in the Construction Industry for 13 years, he witnessed and experienced the harsh debilitating effects repetitive, heavy work can have on the body. With experience in both these fields, he can certainly relate to a wide range of injury and muscular dysfunctions and is extremely passionate in assisting his clients with their rehabilitation and recovery. Eoin is a registered Health Fund Provider with all Health Funds and can offer health fund rebates to clients with Remedial Massage listed on their policy. 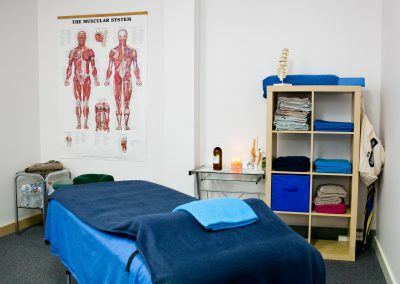 As his background lies within multiple fields, Eoin is incredibly interested in working with a wide variety of clientele, assisting them with quality treatments and focusing on improving their current levels of functionality. 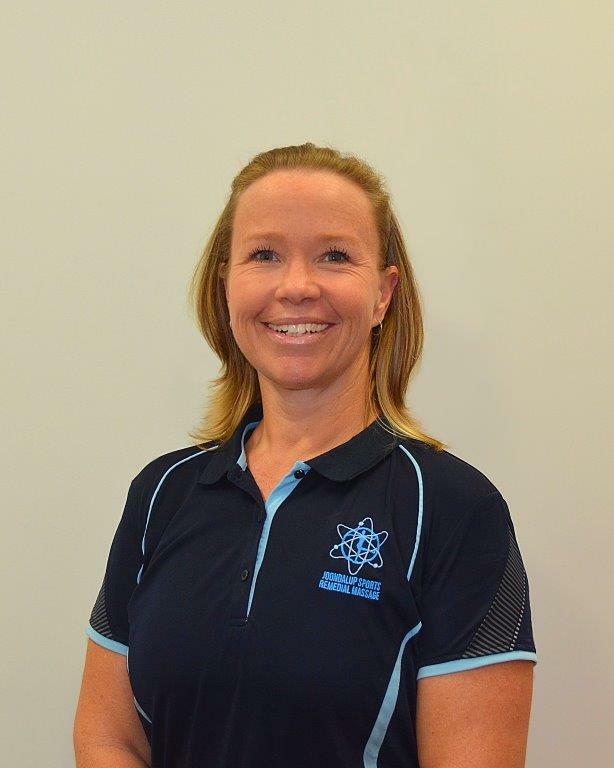 Ashleigh graduated from the Australian Institute of Fitness with a Diploma in Remedial Massage Therapy and a Functional Movement Therapist Certificate; she is also a member of Massage and Myotherapy Australia. With a passion for running, triathlon and the outdoors, Ashleigh is aware of the importance of keeping active at every stage of life. She spent the first 25 years of her career behind a desk and found running was a great way to relieve stress and feel great. Overuse injuries and arthritis, together with years of sitting for 7 hours a day meant she had to drastically reduce her training for a while and massage and dry needling became the most useful part of her recovery. She is passionate about helping people to achieve their fitness and lifestyle goals; working with everyone from elite sports people and weekend worriers to hardworking professionals and busy mums. She works with people who suffer with chronic pain from overuse or dysfunction whether from overtraining, work or lifestyle and has a particular interest in Dry Needling, Myofascial Therapy and Myofascial Fitness. Ashleigh is a registered Health Fund Provider with all Health Funds, and can offer health fund rebates to clients with Remedial Massage listed on their policy. She is looking forward to meeting you and helping you be the best you can. Belinda graduated from Evolve College with a Diploma in Remedial Massage Therapy and is a member of the Association of Massage Therapists (AMT). 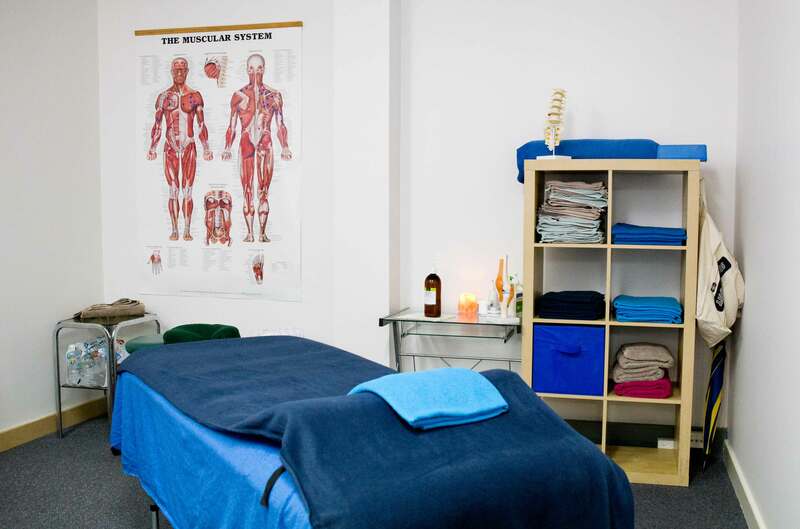 Belinda understands the importance of looking after yourself, and the benefits that Massage Therapy brings through her own need to find a solution of her chronic pain from years of office work and being a busy mum. Once she discovered how much Massage Therapy can help she decided to make that her new career and enjoys being able to help others like herself. 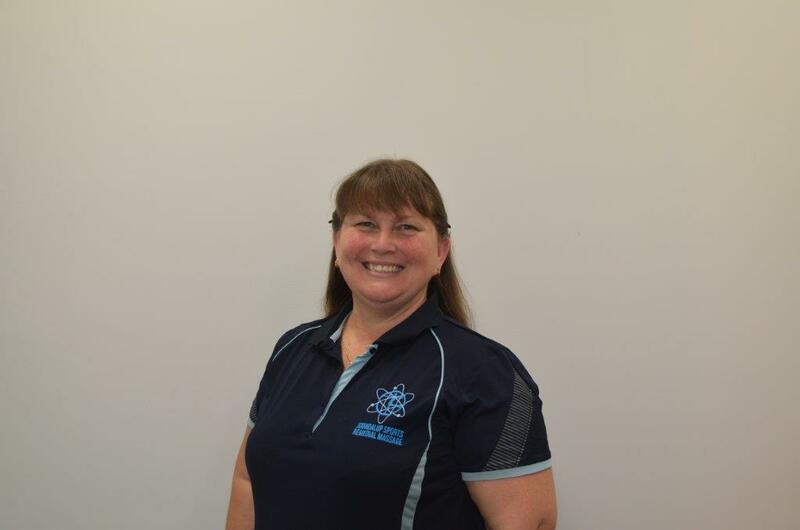 Belinda is passionate about assisting others find relief from their chronic pain and dysfunction from years of sedentary occupation, repetitive and overuse movements, as well as sporting injuries. She is able to work with people from all walks of life, from children to the elderly. Belinda is a registered Health Fund Provider with all Health Funds and can offer health fund rebates to clients with Remedial Massage listed on their policy. 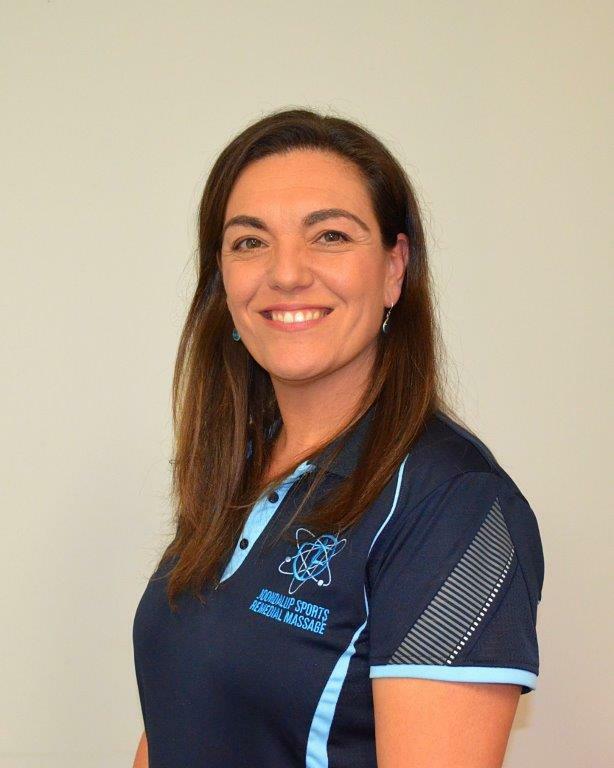 Alana graduated from The Australian College of Massage (ACM) and is a member of Massage and Myotherapy Australia (MMA). Alana has been involved in massage and natural therapies in her local community in New Zealand, helping to promote healthy lifestyle choices and in health-related community events. She moved to WA in 2004 with her family and joined JSR Massage as a Remedial Massage Therapist. Alana works with clients of all ages and abilities, including elite athletes. She also loves working with new and expectant mums and providing pregnancy massage to assist the client in keeping comfortable during this exciting journey. She has a passion to help those suffering with chronic pain and uses gentle Myofascial Release Techniques to assist her clients to manage their pain, while working towards finding long term relief solutions. She also assists clients to realise the benefit of integrating massage treatments with Foam Rolling and Myofascial Flexibility Training programs. Alana is a registered Health Fund Provider with all Health Funds and can offer health fund rebates to clients with Remedial Massage listed on their policy. 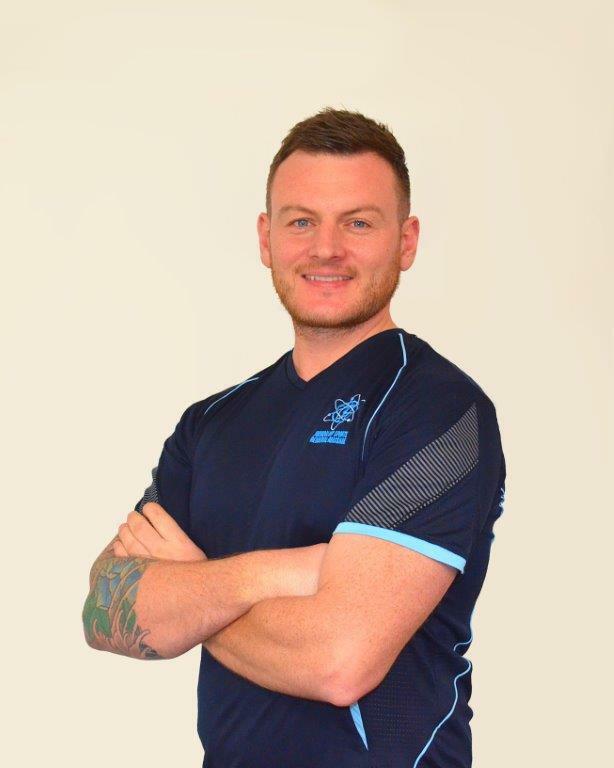 Jason Kiely graduated with a Diploma in Remedial Massage Therapy and is a member of Massage and Myotherapy Australia (MMA). 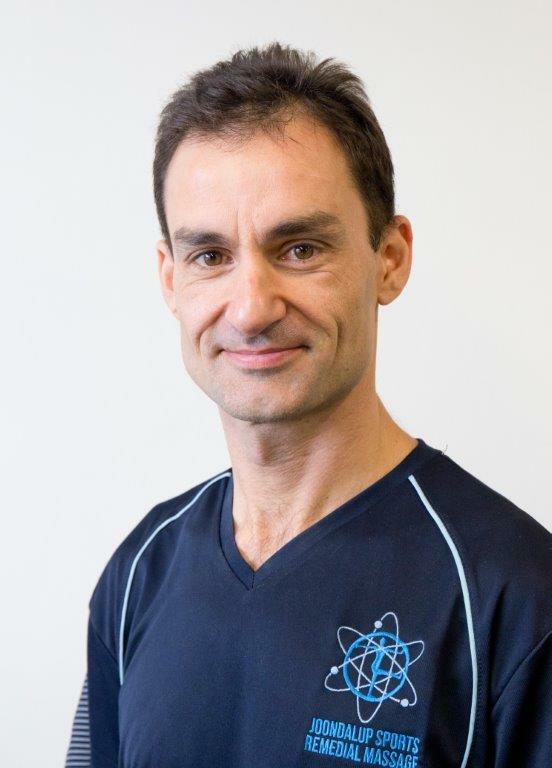 He also graduated from the University of Western Australia (UWA) with a degree in Exercise Physiology, is a Pilates Instructor, and an Injury Prevention Consultant, (although he does not provide these services at JSR Massage). He is also a casual Lecturer in Anatomy at UWA and is occasionally involved in further education for massage therapists. As an academic and a remedial massage therapist, Jason has a keen interest in scientific research into massage, exercise and chronic pain. Jason sees soft tissue therapies as the perfect solution for dealing with the build-up of stress and strain caused by the many activities of daily living, and when used in conjunction with other health promoting habits, he is willing to work with clients to assist them in achieving their health goals. Jason is a registered Health Fund Provider with all Health Funds and can offer health fund rebates to clients with Remedial Massage listed on their policy. 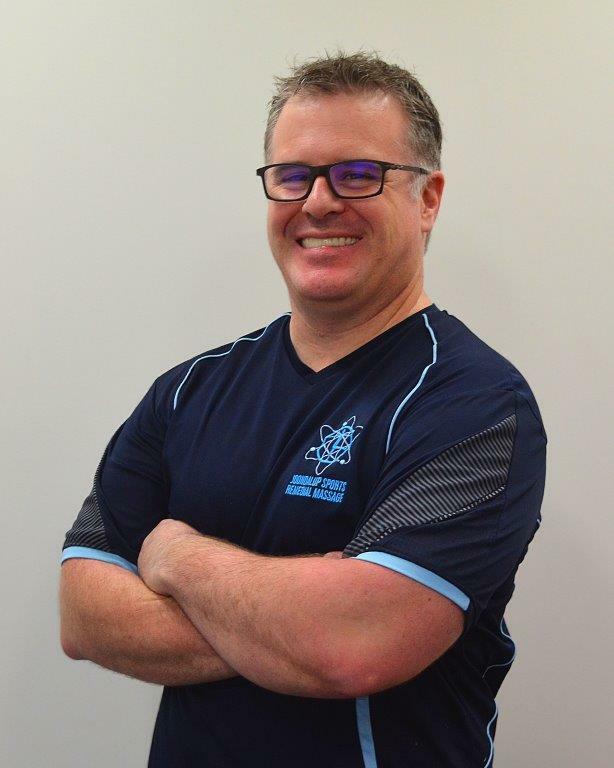 Greg graduated from The Australian College of Natural Medicine (ACNM) with a Diploma in Remedial Massage Therapy and is a member of the Australian Association of Massage Therapists (AAMT). Greg is a registered Health Fund Provider with all Health Funds and can offer health fund rebates to clients with Remedial Massage listed on their policy. No Health Fund rebates are available for the foam rolling and flexibility classes.